Your Dallas Fort Worth Apartment Connection! 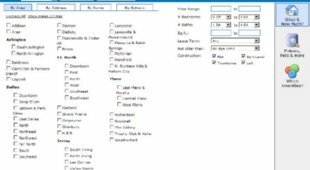 Search Dallas Apartments, Dallas Condos, Dallas Townhomes, Dallas Townhomes and Dallas Highrises by property, city, address, school district, or map. Search Dallas Townhomes and view property amenities, floor plans, pricing, move-in specials, availability, maps, and resident reviews. Receive up to $500 Cash Rebate for referring our FREE Addison Apartment Locating service. Search Dallas Townhomes For Rent and get paid for using our Free service. Whether you're looking for a traditional two level townhome with an attached garage or a three level townhome with a rooftop balcony overlooking Downtown Dallas, we've got you covered! Search our Dallas Townhome Database instantly and view property amenities, floorplans, move in specials, maps, and resident reviews. Our database is updated on a daily basis to ensure you receive the most accurate information on townhomes in Dallas. Receive a 20% Discount on your next move with our FREE Discount Move Coupon in addition to a Cash Rebate Reward up to $500.00. Take advantage of our Free Dallas Townhome Locating Service and receive a Cash Rebate up to $500.00 for referring one of our Dallas rental locating agents. Dallas Townhome Cash Rebate Guarantee - We guarantee our cash rebate on a townhome in Dallas! If you find a better deal on a townhome rebate reward in Dallas, just let us know and we will match the rebate and pay you an extra $50.00! You must include DFW Urban Realty on all guest cards, applications, and lease. Cash Rebate does not qualify for properties leased from individual owners or management companies representing individual owners.